Virtue by Way of Cake. 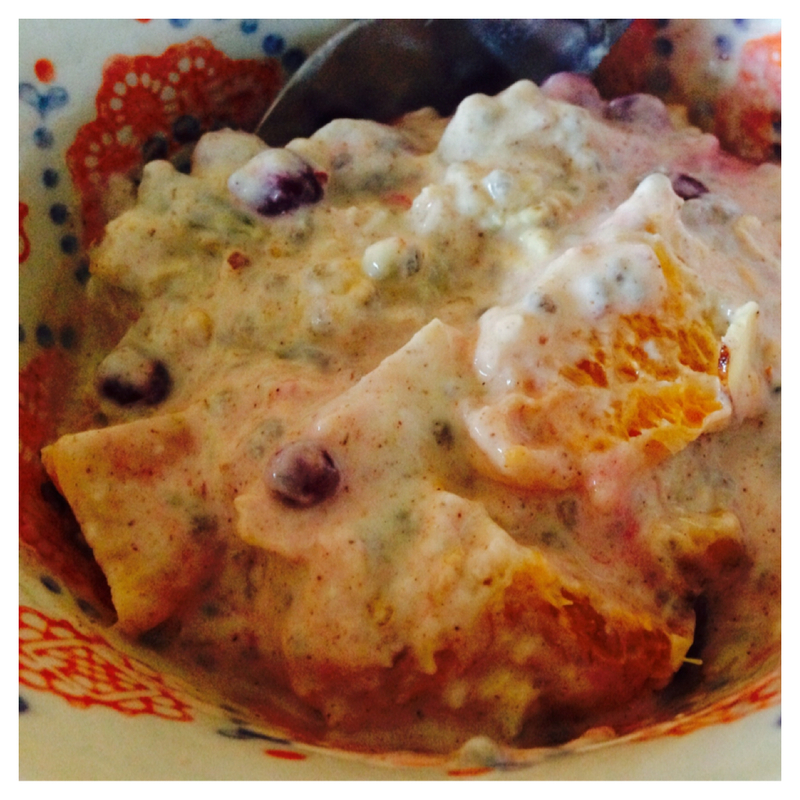 My breakfast lately has consisted of a noble mix of hemp, chia, pumpkin seeds and slivered almonds embedded in yogurt and almond milk, with currants, wild lingonberries and just the slightest kiss of honey. I like to follow it up with a handful of Girl Scout cookies. What can I say? This past week has left me with little enthusiasm for cooking, however last night found me wanting to bake. I recalled my friend Lisa serving up a sliver of her grapefruit olive oil cake some time ago. I’d begged her for the recipe, to which she said nothing, then several days later, I received a link to the blog where she’d discovered it. You can find it, here. 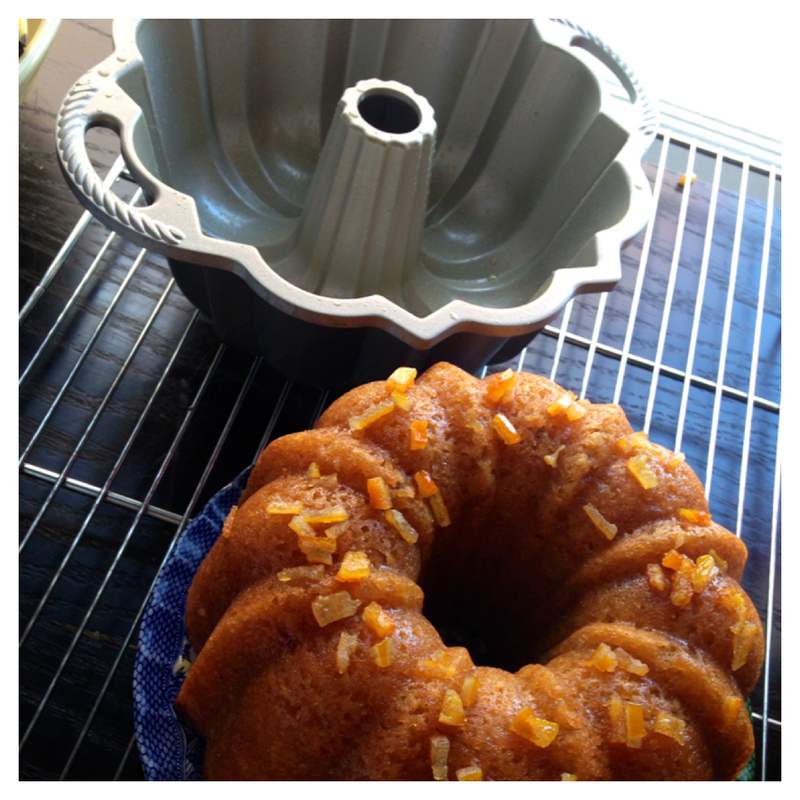 So with a ripe grapefruit already on hand, my mind went immediately to this cake. I’ve made it several times, with little tweaks here and there. This time around, I added a whiff of fennel seed to perfume the cake, not overpowering; rather like a silent partner, giving a little boost from behind the curtain. The glaze evolved from other items on hand, some candied citrus peel, sugar and sweet-tart Meyer lemon juice. This is the kind of cake can easily be justified as breakfast with a healthy dollop of Greek yogurt, goes well with afternoon tea, or any other time when the need for a bit of sweetness strikes. Brush inside of a bundt or rectangular pan, ~9×5 inches; flour. Shake out excess flour and set aside. In a large bowl, combine dry ingredients; set aside. 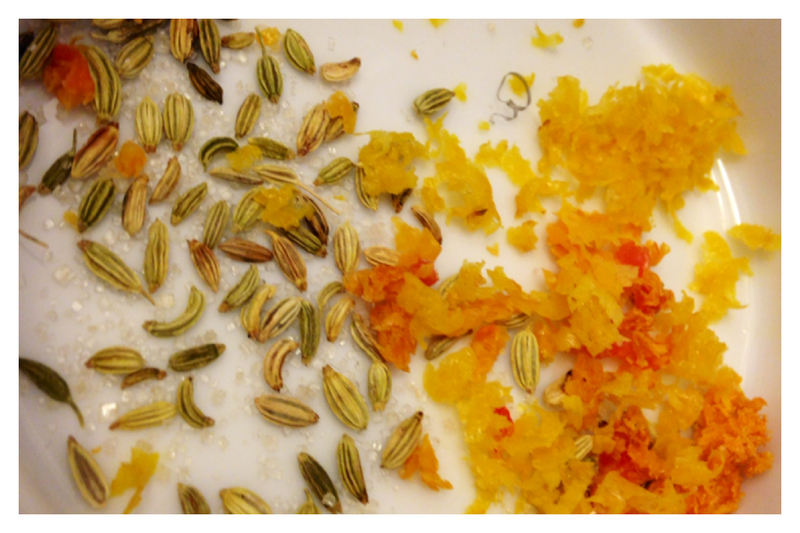 Gather a small bowl and, using hands, rub zest and fennel seeds into sugar until fragrant. Bake for ~45 minutes, rotating halfway through. 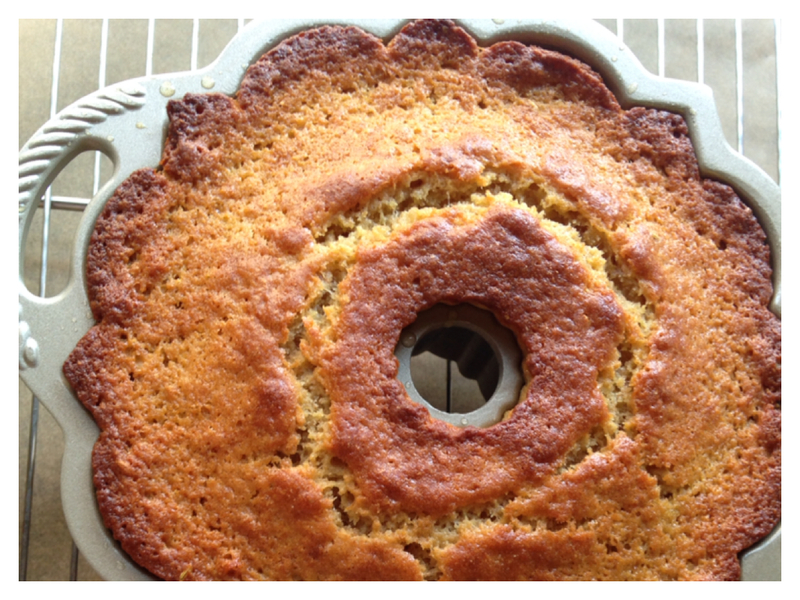 Cake is done when a toothpick inserted in the center comes out clean. Let cool for ~5 minutes in pan, then invert onto serving plate. Heat over medium-high, without stirring, until boiling. 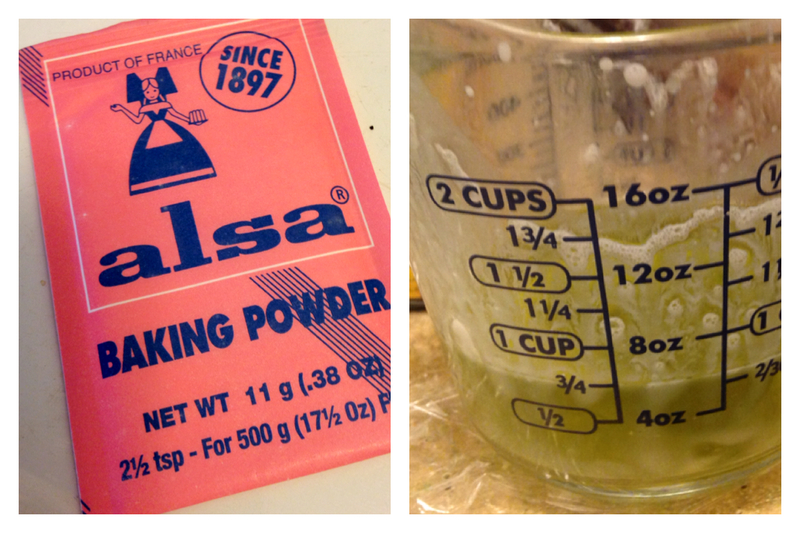 Allow to boil for ~60 seconds; remove from heat. Spoon glaze over top of cake, and allow to cool completely before serving.